Paradoxical God flow / move through millenniums / in time-space continuum‘s /within milliseconds/felon music/murder check-in. A poet with no expiration / moving without an explanation. Freshwater / vegetation / I formalized my education / a conscious mind through meditation / the journey is the destination. our physical realities a cognitive construction/ organic particle duality/ mass energy consumption. Concepts are transformational / enhance your physiology / every word is the symbol / where there’s knowledge there is no poverty. What’s U Divided by Zero? / We’re all just floating particles / I’m a genius manifesting my destiny of success / NOTHINGS IMPOSSIBLE. Track Produced by Paul Trahan* Recorded at Maximus Recording Studios Charlotte NC * Mixed and Mastered by Paul Trahan, NOLA and Sound Lab Recordings * featuring the vocals of Dalvin Wood NC* Lyrics written by Han-an Cruz and S. Howard NYC * Exclusively for Biltmore Records Inc. NC, and TCK & Associates LLC, NYC. This entry was posted in Blog and tagged Biltmore Records, Carolina, Charlotte NC, events in Charlotte nc, Hip-hop, Hip-Hop Culture, North Carolina, South Carolina on November 18, 2017 by admin. 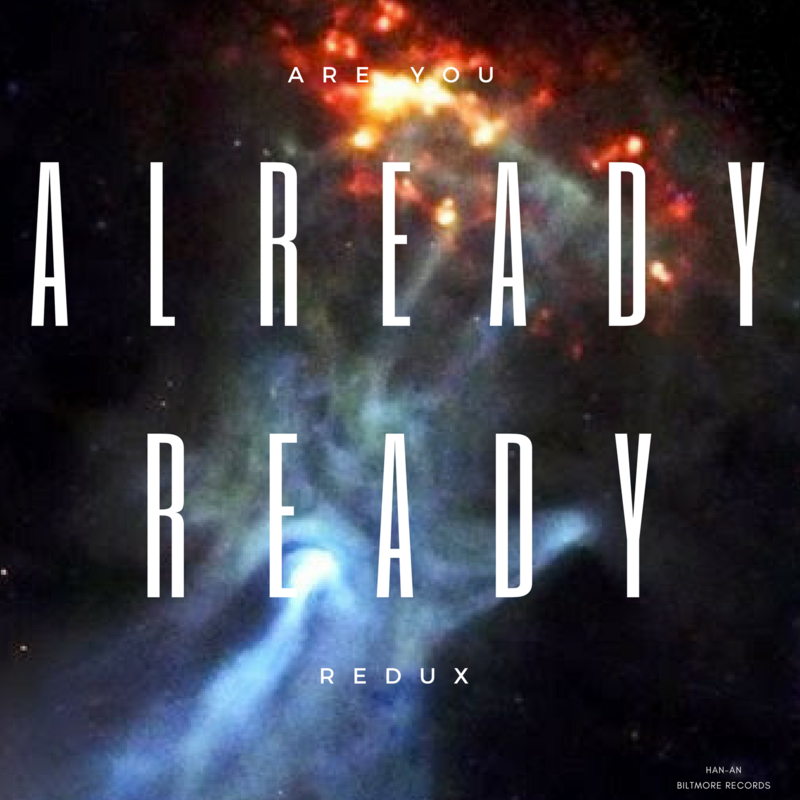 Download Are You already Ready from Han-an today! Produced by Paul Trahan, Recorded at Maximus Recording Studios Charlotte, NC, Mixed and Mastered by Paul Trahan, NOLA and Sound Lab Recordings, NYC Exclusively for Biltmore Records Inc., NC. and TCK & Associates LLC, NYC. This entry was posted in Blog and tagged Biltmore Records, Carolina, Charlotte NC, Entertainment, Hip-hop, Hip-Hop Culture, North Carolina, South Carolina on November 11, 2017 by admin. 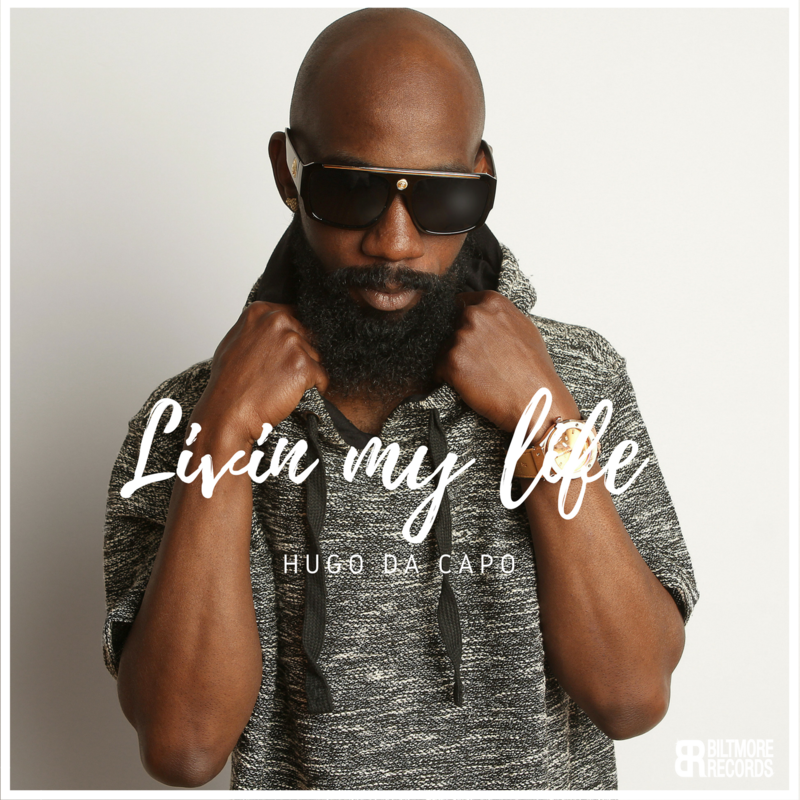 Check out Living my life by Hugo Da Capo on iTunes, Android or your favorite music outlet! The Track was produced by Grizzly On Da Beat, SC. , Recorded at Maximus Recording Studios Charlotte, NC, Mixed and Mastered by Paul Trahan, NOLA and Sound Lab Recordings, NYC Exclusively for Biltmore Records Inc., NC. This entry was posted in Blog, HAN-AN and tagged Biltmore Records, Carolina, Charlotte NC, Entertainment, HAN-AN, Hip-hop, Hip-Hop Culture, South Carolina on November 24, 2016 by admin. “Only IF Rudyard Kipling knew one thing” – That line explains the theme of this track. Beast is a dedication to those who made it through the struggle; and the ones who did not. Check out the re-mix of HAN-AN’s 2007 track titled BEAST. It was originally produced by Paul Trahan and now he has remixed it for 2015 to prelude the new music that’s on the way. Are you already; Ready 11.11.15. This entry was posted in Blog, HAN-AN and tagged Biltmore Records, Charlotte NC, Graffiti, HAN-AN, Hip-hop, Hip-Hop Culture, North Carolina, South Carolina on October 10, 2015 by admin. This remix was produced by Paul Trahan exclusively for Biltmore Records Inc. The record will be part of an EP being prepared for released early next year. We have some new material on deck so stay tuned! Thank You. This entry was posted in Graffiti, HAN-AN, HIP-HOP, MC-ing and tagged events in Charlotte nc, HAN-AN, Hip-hop, Hip-Hop Culture, New York City, North Carolina, South Carolina, Staten Island New York on August 28, 2015 by admin. 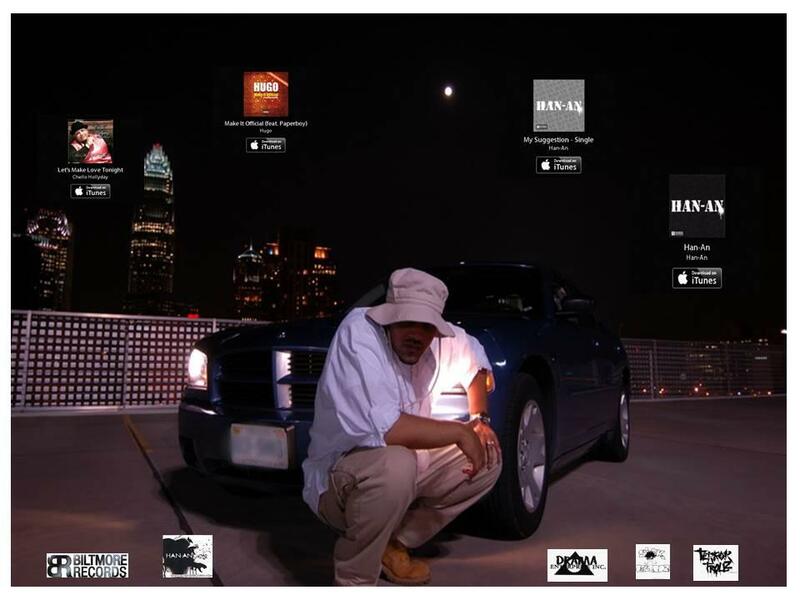 This entry was posted in Charlotte Nightlife & Entertainment, HAN-AN, HIP-HOP and tagged Biltmore Records, Charlotte, HAN-AN, Hip-hop, NC, North Carolina, Rock/Hip-Hop, South Carolina on July 23, 2015 by admin. BILTMORE RECORDS is re-releasing vintage track titled BEAST from HAN-AN 2007. The track was produced by Rick Cruz and Paul Trahan from New Orleans. Download the track and related singles today on iTunes!!! This entry was posted in Blog, HAN-AN and tagged Biltmore Records, Charlotte NC, HAN-AN, Hip-hop, NEW YORK, NORTH CAROLIAN, South Carolina, Tampa Florida on March 3, 2015 by admin. 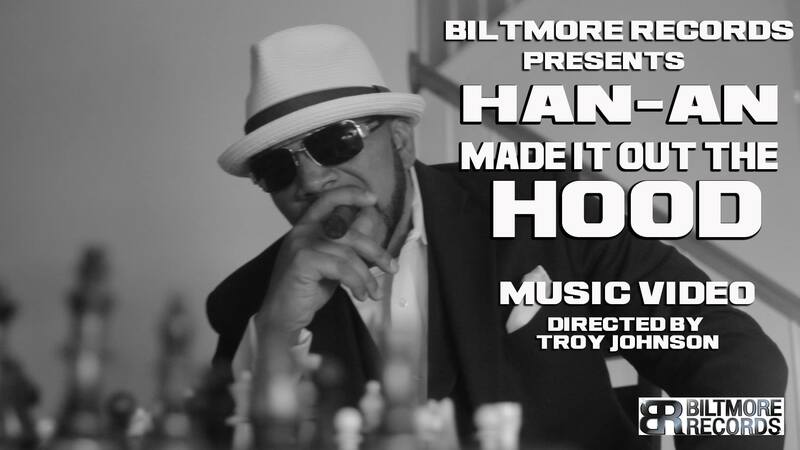 BILTMORE RECORDS PROUDLY PRESENTS THE NEW MUSIC VIDEO FOR HAN-AN titled MADE IT OUT THE HOOD! Produced and edited by Troy Johnson for Toast 187 Films, the track was produced by T. Acosta and Rick Cruz exclusively for BILTMORE RECORDS INC.
HAN-AN MADE IT OUT THE HOOD 1080 3 from BILTMORE RECORDS INC on Vimeo. This entry was posted in Blog, HAN-AN and tagged Biltmore Records, Charlotte NC, HAN-AN, New York City, North Carolina, RICK CRUZ, South Carolina, T. ACOSTA, Tampa Florida, TOAST 187 FILMS, TROY JOHNSON on January 3, 2015 by admin. This entry was posted in Blog, HAN-AN and tagged BISHOP, Charlotte NC, ECLIPSE, HAN-AN, Hip-hop, Hip-Hop Culture, I'M STR8, North Carolina, South Carolina on December 30, 2014 by admin. NEW MUSIC | MUSIC VIDEO FOR ‘MADE IT OUT THEHOOD’ COMING SOON!!! BILTMORE RECORDS is proud to present a new music video for HAN-AN. The record is called “MADE IT OUT THE HOOD” and the song addresses the philosophy’s of piety and justice. Piety has to do with an individuals respect for his responsibilities to gods, country, parents, and kin. It suggests an introspective, self analyzing approach to justice because that like everything else in the universe starts within each individual. This entry was posted in Blog, HAN-AN and tagged Biltmore Records, Charlotte NC, HAN-AN, Hip-hop, Hip-Hop Culture, North Carolina, South Carolina, TOAST 187 FILMS on December 24, 2014 by admin. This entry was posted in Blog, HAN-AN, HIP-HOP and tagged Biltmore Records, Charlotte NC, Graffiti, HAN-AN, Hip-hop, Hip-Hop Culture, North Carolina, South Carolina on December 18, 2014 by admin. This entry was posted in Blog, HAN-AN, HIP-HOP, MC-ing and tagged Biltmore Records, Charlotte NC, HAN-AN, Hip-hop, Hip-Hop Culture, North Carolina, South Carolina on November 10, 2014 by admin. 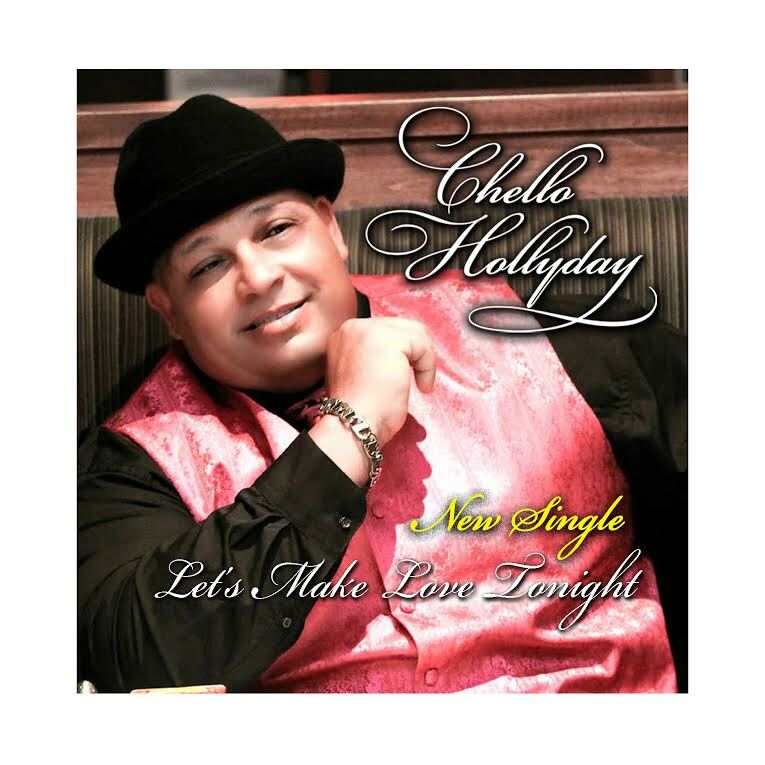 Download Chello Hollyday’s new single “Let’s Make Love Tonight” on iTunes!!! This entry was posted in Blog, Charlotte Nightlife & Entertainment, Chello Hollyday, R & B and tagged Carolina, Charlotte, Charlotte NC, chello hollyday, Classic R & B, Entertainment, Florida, Latin, Soul, Tampa on July 27, 2014 by admin. Download Music From Biltmore Records on iTunes Today!!! This entry was posted in Blog and tagged Charlotte NC, chello hollyday, HAN-AN, HIP-HOP R&B, HUGO DA CAPO, North Carolina, NYC, South Carolina, Tampa Florida on July 26, 2014 by admin. Download MY SUGGESTION by HAN-AN on iTunes Today! Profits from this recording will go to Charity. The track is off his upcoming album titled Philosophical Mockeries. The track was produced by the artist with all live instrumentation on the original version. Intended to have a classic feel, the drum sample is from the teacher KRS1 and delivers a powerful message. This entry was posted in Blog, HAN-AN on July 26, 2014 by admin. HUGO DA CAPO is working on new material. He calls it ‘The Home Studio Grind’ where he is just creating as many raw songs verses and hooks as humanly possible. I got a chance to hear some of it and he is definitely ready! This track is dirty but check out the flow over the bouncy track. Shout out to the Berg also! This entry was posted in Blog, HUGO DA CAPO and tagged Charlotte NC, Hip-hop, Hip-Hop Culture, HUGO DA CAPO, North Carolina, ORANGEBERG S.C., South Carolina on July 24, 2014 by admin. 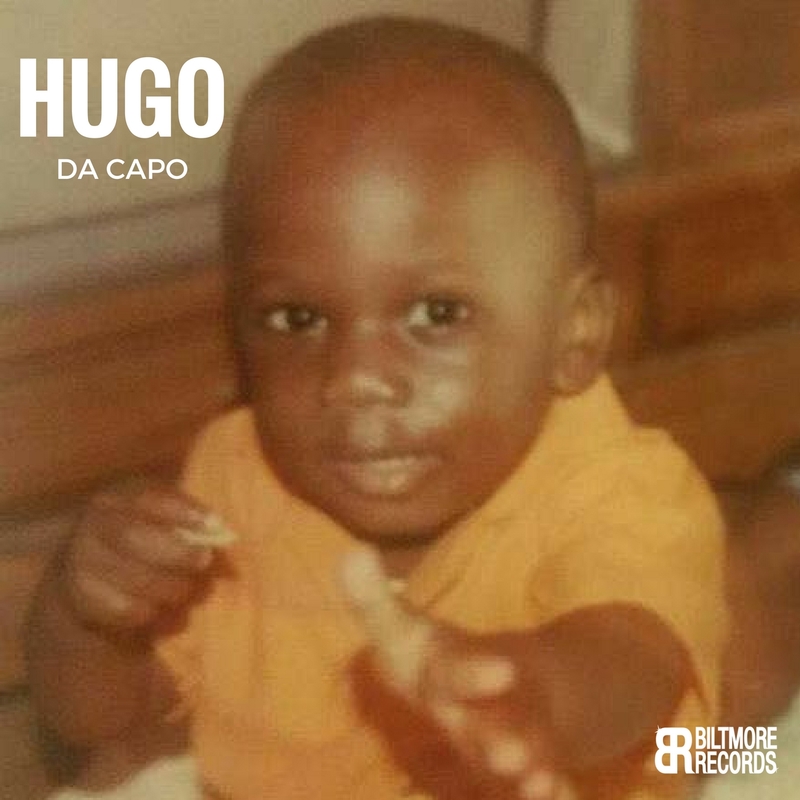 Check out Dreamin from Hugo Da Capo today! The Track was produced by Grizzly On Da Beat, SC. Mixed and Mastered by Paul Trahan, NOLA and Sound Lab Recordings, NYC exclusively for Biltmore Records Inc, NC and TCK & Associates LLC, NYC. This entry was posted in Blog on November 11, 2017 by admin. This entry was posted in Blog and tagged Dave Chappelle, SNL on November 13, 2016 by admin. In this episode of the Verbal Graffiti Podcast we began to comment on the book titled The Power Of Broke,by Daymond John it’s the first book being reviewed by our Book Klub. Currently we are offering free Books to anyone who wants to join our gang of book reading hoodlums. Obviously, this is all in fun but one of the goals of this Podcast is to encourage our community to read at least one book a month, which equates to 20 or 30 minutes a day. We will select a new book every months and give a brief review of each book twice within a 30 day cycle. Anyone wishing to join can do so by sending us an email to [email protected] There will be a limited monthly supply so if interested you would want to be among our first responders. A future goal of the Podcast is to give out books selected by the Book Klub to local Schools in order to encourage kids to read suggested books and participate in the Book Klub! Additionally, we discussed the Hood Morning America Wake up Challenge! That’s simply the creation of daily habits or routines initiated every morning aimed at increasing productivity and vitality throughout the day. The first challenge is to drink 16 ounces of water immediately after you wake up in the morning. Studies have shown that there are many Health Benefits to drinking water as soon as you wake up and we agree that doing this will not only provide a revitalization of energy, but it was also jumpstart your metabolism. Please keep in mind that drinking water is only the first challenge, we will add on new challenges with every episode to creating the optimal step by step morning routine. In this podcast we also released a new song titled Again! The songs is about a healthy lifestyle and just may be the theme music for the show, who knows! It’s something that Rick Cruz had in his archives but you got to admit that beat is hot! Also, make sure to check out other news and updates from Biltmore Records! This entry was posted in Blog, Books and tagged Biltmore Records, Charlotte NC, Daymond John, Hip-hop, Hip-Hop Culture, Hood Morning America Wake Up Challenge, North Carolina, Podcasts, South Carolina, The Power Of Broke, Verbal Graffiti Podcast on February 24, 2016 by admin. After listening to the second episode of the Verbal Graffiti Podcast you may be thinking “what does this show have to do with Hip-Hop?” Well it’s simple, this show is about inspiring our audience to get out of it’s comfort zone. It’s about challenging ourselves take action NOW in order to fully pursue whatever we set out to achieve. The show references comments from Mrs. Tamara Bunte, America’s #1 Sales Coach who just wrote a book titled PROVERBS FOR SELLING available on amazon.com. We also referenced Tony Robins’s 7 Master Steps To Creating Lasting Change. Again., we are not trying to teach this information but rather inspire our audience to look further into these resources for more helpful insight into overcoming challenges to business and personal goals. The first podcast also received criticism via email, as well as feedback from friends. We narrowed it down to the top 5 critiques of the show and shared them along with our comments. The idea is that Rome was not built in a day, and this podcast will not be an overnight success, but we do plan to build it up to the point where it can be the absolute best Podcast out there (respectfully). So stay tuned. This entry was posted in Blog, Books and tagged Anthony Robbins, Charlotte NC, Hip-hop, Hip-Hop Culture, North Carolina, Proverbs For Selling, RICK CRUZ, Tamara Bunte, Verbal Graffiti Podcast on February 10, 2016 by admin. The first episode of the Verbal Graffiti Podcast is a short introduction to the show and content. The show will air on the 2nd and 4th Wednesday of each Month. In this episode we introduce the show, the host and reasons to listen in. We touched on a lot of subject matter that will be covered and expanded upon in future shows. If you were expecting commentary on music then you might be in for a surprise. Yes, music is an important part of the Verbal Graffiti lifestyle, but this podcast is more focused on inspiring the listeners to be a part of our “Gang of Hoodlems” who will read books and follow success formulas to better improve LIFE for everyone who participates. The idea is not that Rick Cruz is some sort of a GURU but rather that he is trying to stick to these life altering routines and he selfishly wants everyone to participate so that he can be held accountable for sticking to the path. We Announced Da Hood Morning America Wake UP Challenge, Da Hood Book Klub and other Challenges or information that will make the listener think that this Podcast is nothing but a whole lot of work,. And THAT It Is. But, those who participate will experience some amazing, life altering benefits. THAT is a proven fact. This Month the Hood Book Klub will be reading The Power of Broke by Daymond John, co/written by Daniel Paisner. The books subtitle is equally as interesting as the title stating “How empty pockets, a tight budget and a hunger for success can become your greatest competitive advantage”. The book is $26 at Barnes & Nobel but we found it for $15 on Amazon.com THE POWER OF BROKE on amazon.com We will begin discussing the book on our next episode, but you don’t have to finish the book in that time frame. Lastly please leave a comment here, or contact us via email at [email protected] with any suggestions or comments. Also you can follow us on Facebook Twitter Instagram & YouTube. Until next time friends remember “you are a combination of the 5 people you spend the most time with”. So,..choose your “Gang” wisely. This entry was posted in Blog, VERBAL GRAFFITI PODCAST and tagged Biltmore Records, Charlotte, Daniel Paisner, Daymond John, Entertainment, Hood Book Klub, Hood Morning America Wake Up Challenge, NC, North Carolina, RICK CRUZ, South Carolina, Verbal Graffiti Podcast on February 1, 2016 by admin. Born in France to Tunisian parents, eL Seed delights in juggling multiple cultures, languages and identities. Not least in his artwork, which sets Arabic poetry in a style inspired by street art and graffiti. In this quietly passionate talk, the artist and TED Fellow describes his central ambition: to create art so beautiful it needs no translation. This entry was posted in Blog, Graffiti and tagged eL Seed, Nonprofits & Activism on August 7, 2015 by admin. 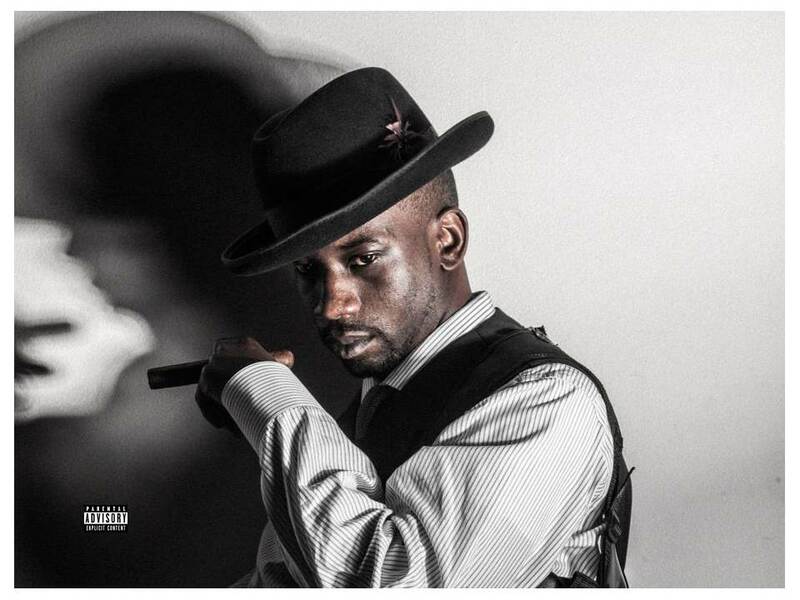 CHECK OUT THE “LORD 4 GIVE ME’ MIXED TAPE FROM BISHOP. This entry was posted in Blog and tagged B-RAD, BISHOP, ECLIPSE, LORD 4 GIVE ME MIXEDTAPE, North Carolina, RAP, South Carolina on June 17, 2015 by admin. Survey | Charlotte vs. Atlanta, Who has the better city? Ever wonder why Charlotte is the most popular up and coming city on the east coast? Take at look at this. It’s a short film explaining how for years, Charlotte and Atlanta have been long time rivalries in the competition for new companies, jobs and young residents. However, the Queen City’s uptown success started with a vision nearly 50 years old. What do you think? Leave a comment let us know your thoughts! 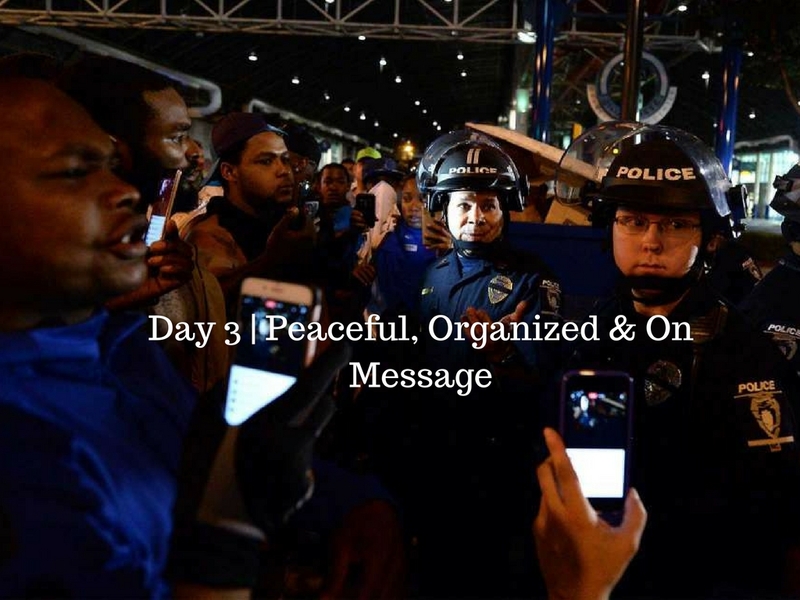 This entry was posted in Blog and tagged Atlanta GA, Charlotte Chamber, Charlotte NC, Entertainment, North Carolina, South Carolina, wtvi PBS Charlotte on May 22, 2015 by admin. The Chello Hollyday Band is known as one of the hottest bands in Tampa Florida. On May 8th they will be playing at the Amalie Arena before the Kevin Hart show. If your in town make sure to join them from 5 – 9 for some good music and great vibes before the big event! You can also check out Chello Hollyday on CHELLO HOLLYDAY.COM and his event page on FACEBOOK. Also download Chello Hollyday’s hit single “Let’s Make Love Tonight” on ITUNES TODAY! Available only on BILTMORE RECORDS. 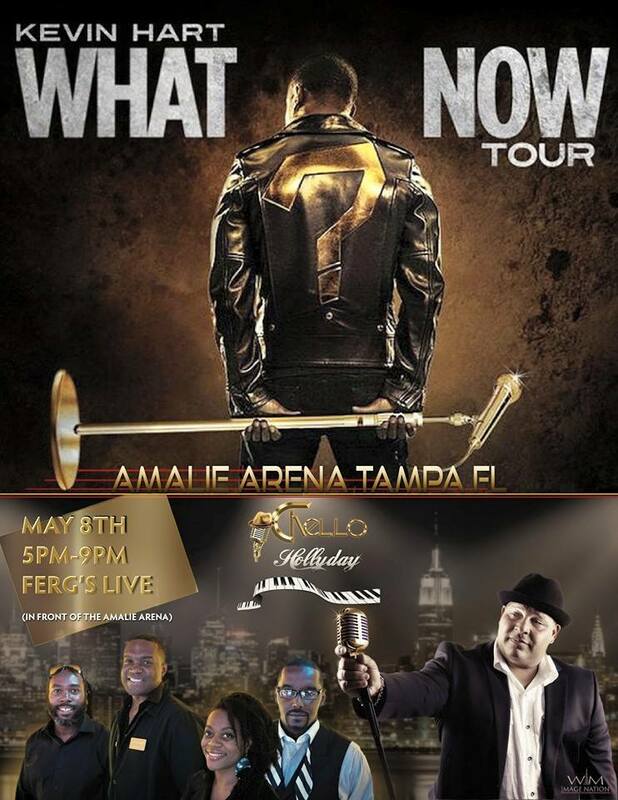 This entry was posted in Blog, Chello Hollyday, Tampa Nightlife & Entertainment and tagged Amalie Arenia, Biltmore Records, chello hollyday, Chello Hollyday Band, Kevin Heart WHAT NOW Tour, Tampa Florida, Tampa Nightlife & Entertainment on April 12, 2015 by admin.